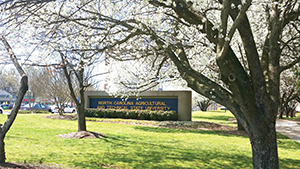 With a firm understanding of its collegiate culture, North Carolina Agricultural and Technical State University has created a recovery community that speaks its students’ language. 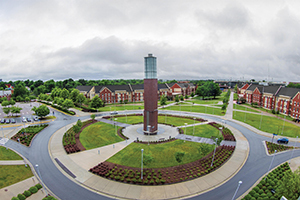 Each institution of higher learning has a unique stamp, a campus society that often is steeped in the values and culture of the students being educated. Understanding and being sensitive to the fabric of this society can make a major difference in how well a collegiate recovery community resonates with young adults. 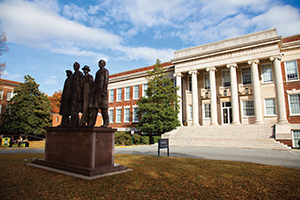 In a matter of a few short years, North Carolina Agricultural and Technical State University — one of just over 100 historically black colleges and universities in the nation — has become a model for engaging students at risk in a culturally sensitive way and steering them toward a life in recovery. 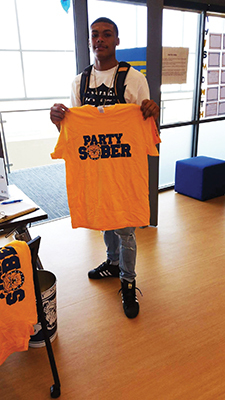 In 2014, the University of North Carolina System selected North Carolina A&T as one of six schools to receive a grant from the state Department of Health and Human Services to start a collegiate recovery community (CRC). Launched in 2015, the CRC was folded into the Counseling Services department for sustainability and was promoted in a similar way as other collegiate mental health services: through flyers, social media, outreach to faculty and staff, email blasts, and tabling events. Incoming students and their parents learned about the program through presentations at orientation. In addition, Counseling Services created a dedicated space in the health center that is open to anyone who wants to have time alone, get advice or just be among like-minded individuals. Clemmons-James notes that many on the staff identify with the emphasis on prayer-driven solutions from their own upbringing. They connect with students on that commonality and then share what they’ve learned about other resources. “Forming these bonds with students makes it easier to encourage help-seeking behaviors as well as educate our campus population regarding recovery and how it can look,” she says. If students can’t afford to go to intensive inpatient treatment centers, counselors connect them to local outpatient treatment groups. In a nod to this social culture, part of the funding was used to create the Street Team, a group of trained student peers who host regular tabling events and other activities and make referrals. “This is successful because peers can talk to peers in a way that helps them connect to professional mental health providers,” Barnette says. 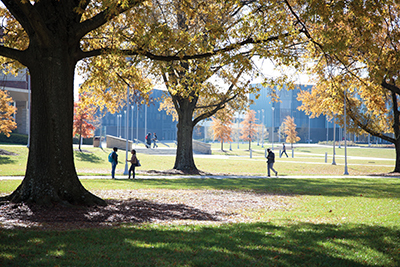 The CRC also partners with student organizations such as Active Minds, a peer advocacy group that seeks to bring awareness and remove the stigma of mental illness, the Student Health Advisory Council and the Counseling Services Advisory Council — “Anyone who is willing to have us come and share information,” Barnette says. The CRC also provides many opportunities for social engagement. For example, the Second Chance Prom allows students who missed their high school prom due to substance use to have this experience. Sober tailgating and sober spring break provide alternatives to these quintessential college activities. Even the school’s self-proclaimed “Greatest Homecoming on Earth” has a substance-free version.